The 100% natural & adjustable myWoolly Pillow is the ideal pillow filled with woolly puffs™ and features the unique cotton & wool-quilted outer case. This pillow is chemical & dye-free. Wool is naturally fire-resistant. It is naturally hypoallergenic & antibacterial, and it is machine washable. myWoolly Pillow is dust mite-free, mold-free, & mildew-free. The breathability of the pillow allows air to pass through it eliminating the cause of overheating and the damp, moist sensation. It provides recommended support to the neck & upper back, maintaining neutral position of spine. The adjustable support is easily achieved by opening the zipper and simply adding or removing woolly puffs™ for desired firmness. Perfect support is just “a handful of woolly puffs™ away! Comfort in a pillow is a personal luxury. Open the zipper of the case and remove or add woolly puffs™ needed for your desired comfort. Make the simple adjustments, zip the case closed. The exclusively designed outer case of the myWoolly Pillow features a zipper and is cotton & wool quilted to enhance the perfect level of personal comfort. Well the answer is easy. 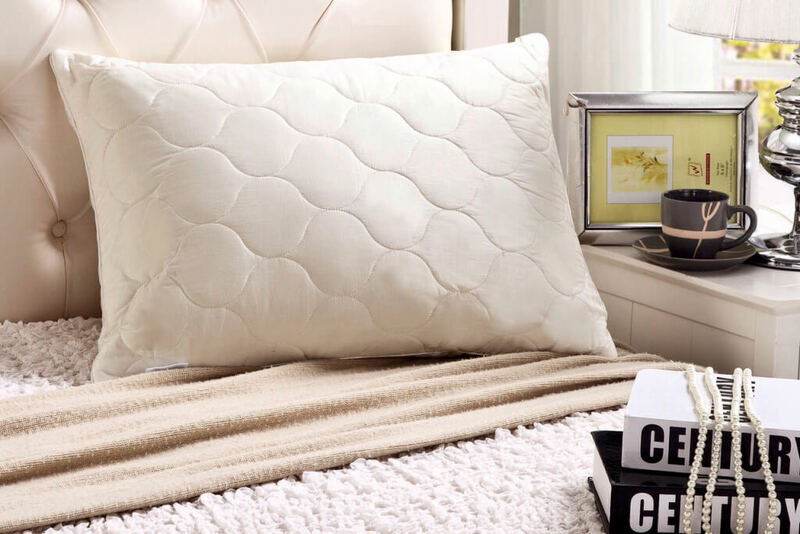 With a K-Lex luxury pillow you receive the positive benefits of all pillows wrapped into ONE perfect K-Lex pillow. 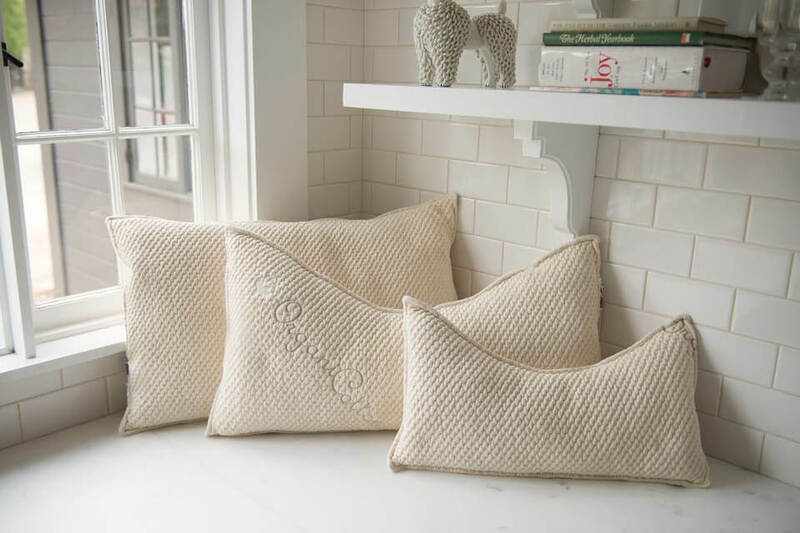 Handmade by local American Artisans, our Churchill & Smith pillows are much more than something to put your head on. Created from carefully selected fabrics and materials like Cotton, Latex, Wool and Kapok, our pillows will assure you many peaceful nights. We weigh and measure every pillow, before we hand stuff them. This will guarantee you a consistent and perfect feel. Our patent pending blend of organic kapok and latex, also known as K-Lex, is mold and dust mite resistant. The Churchill & Smith pillow will help keep you safe from those irritating allergies. Finding the right position on our pillow is never a problem, they feel substantial yet fluffy and supportive. Simply put, there is no other pillow like it. Our Woolly Bolas are little clusters of wool that provide an optimum fluff and density for a pillow. Our most popular pillow features an inner zippered case to adjust your wool fill as you wish, making it perfect for all types of sleepers! 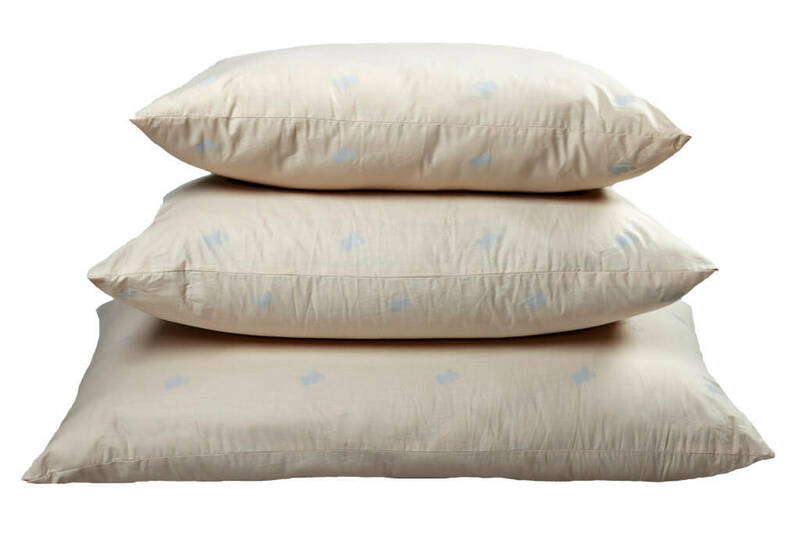 Each pillow is covered in an organic cotton sateen cover with a YKK zipper making it adjustable. 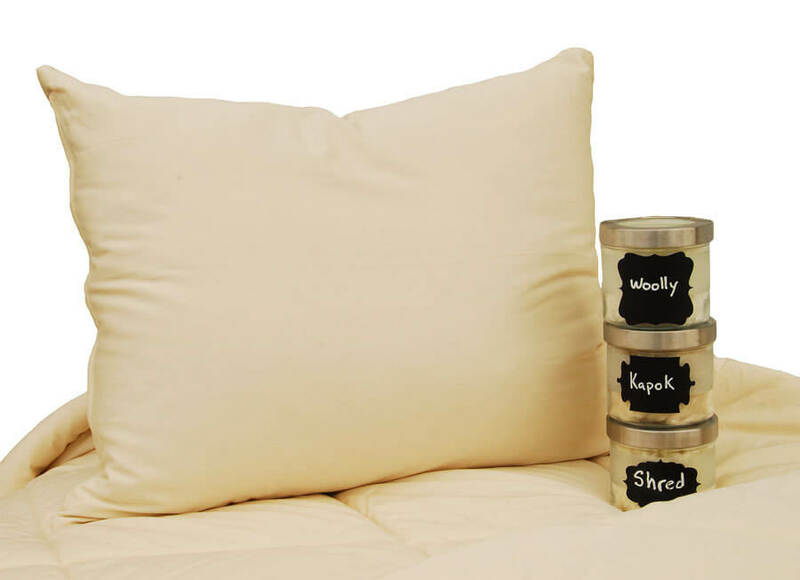 Customize your pillow by adding one of our Suite Pillow Protector options. Made in the USA. Tencel is our latest pillow fill option for our hot new pillow! We blend the soft silky Tencel fibers with recycled polyester to create these soft clusters that cradle your head while you sleep. The clusters are made in the same way as our ever-popular Woolly Bolas, but have a softer silkier feel. As with all of our fiber pillows, the fill is totally adjustable to your liking and the Tencel/Poly knit cover features a zipper for easy fill removal, making it perfect for all types of sleepers! Tencel is a great fiber for sleep products because it is moisture wicking, breathable, and silky. Tencel is a manufactured fiber from Austria using 20% less water than cotton and comes from sustainable Eucalyptus trees. Made in the USA.